Poll closed May 28, 2017 . 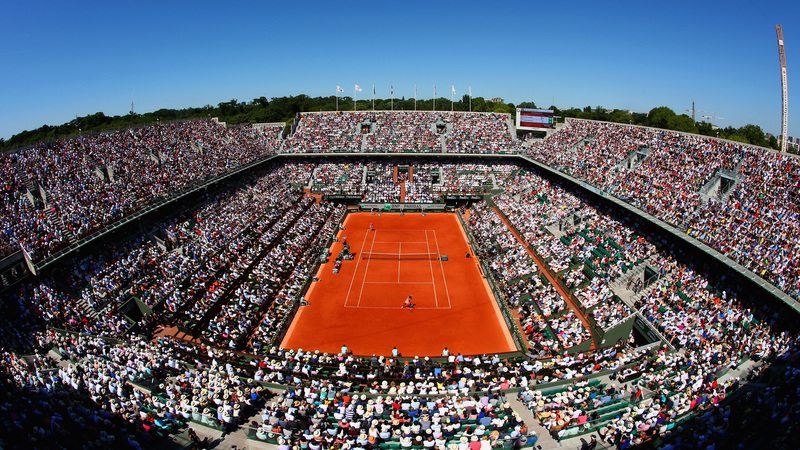 Established in 1891 and played since 1928 on outdoor red clay courts at the Stade Roland Garros in Paris, France, The French Open is the last stop of the clay season. Djokovic is the defending champion. Can he with the help of Agassi defend it? 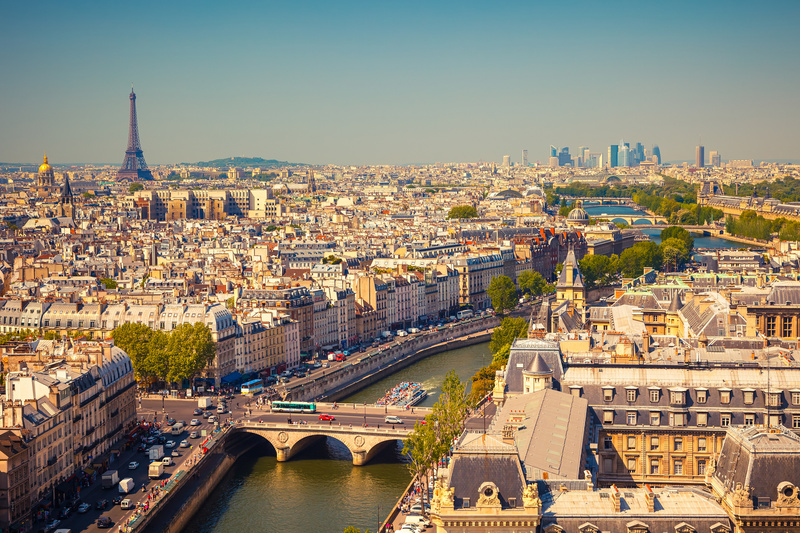 The French Open was established in 1891 and was originally known as the French Championships. The tournament was only open to French players or foreign players who were a member of a French club during the first 34 years on its existence. The first winner of the Championship was the British player H. Briggs, a member of Club Stade Français which entitled him to compete. Records show matches were played as the best-of-three sets format until 1902 or 1903, when best-of-five sets was adopted. The tournament became an Open in 1968, as professional players were allowed to compete with amateurs, previously only amateurs could compete in the Grand Slam tournaments. The tournament, won by Australian Ken Rosewall, was the first Grand Slam tournament to be played in the Open era. Swede Björn Borg won the majority of the tournaments in the early years of the Open era. He won consecutive titles in 1974 and 1975, before winning four successive titles from 1978 to 1981. Yannick Noah became the first and so far the last Frenchman to win the event in the open era, when he won in 1983. Ivan Lendl won his first title in 1984, before losing the following year to Wilander in the final and won two consecutive titles in 1986 and 1987. Michael Chang became the youngest man to win the French Open when he beat swede Stefan Edberg in 1989. American Jim Courier won consecutive titles in 1991 and 1992 before Spaniard Sergi Bruguera repeated the feat in 1993 and 1994. Gustavo Kuerten won three titles in 1997, 2000 and 2001. 2005 marked Rafael Nadal's first French Open; he won four consecutive titles from 2005 to 2008. Nadal was beaten in the round of 16 of the 2009 tournament by swede Robin Söderling who lost to Roger Federer in the final. Nadal regained the title in 2010, which he held until 2015, when he was knocked out by Novak Djokovic, who lost in the final to Stan Wawrinka. Why Rao is in poll? but not Rome champion? Hope for Nadal. Just hope for it. Nadal: heavy, heavy, heavy favorite. Djoko's form is still too vulnerable, Pouille edged Nadal at USO but at RG??? I seriously doubt it. Z doesn't match well with Rafa. The only guy with a shade of a chance is Thiem but Thiem is vulnerable to other players. Who else has what it takes to knock Nadal out at RG when Nadal is playing well? Don't see anyone. Djocks underwhelming performance today puts Nadal back in as the heavy favorite. It will take a red lining Thiem like performance to beat him. Zverev won't beat Nadal should they meet. The draw will give us some clues. Long time since I have felt this excited for a slam. Thiem and Zverev gives an extra dimension to it, even with Rafa playing good again. It has been so one dimensional for years and years. Rafa winning it and Nole chasing for his first. Rafa is not in a lock for it. Looking forward to many good discussions when the draw is out I hope for of course Rafa and Thiem in one half, Alex and Novak in the other. What are the odds for that? Still a bit of an unknown. The draw should help us out a bit. For me Djoko is the clear favourite here. Interesting. The group of seeds 25-32 at RG (will draw a top 8 in R3) include Gasquet, Querrey, Del Potro, Fognini, Ferrer and Simon. Are you high? Based on what? Have you watched Djokovic actually play tennis on clay this season? He doesn't have enough time to get into good enough form with enough confidence to win it. When he was at his very best and Nadal was also at his best, Djokovic couldn't beat Nadal at the FO. How is a Djokovic in poor form by his standards going to beat a good clay form Nadal this year? Nadal is the huge favorite. There is no second favorite IMO regardless of the draw. @cc0509 I like it "There is no second favorite.."
Nadal is still the favorite but there are a few others who can spoil Nadal's party. I think the biggest factor here will be how fresh/tired Nadal will be during the 2nd week. I hope so, but he's played horribly on the clay this year. Stanimal hasn't been seen all year, I'm afraid. I don't care what happens in this French Open (or any other tournament) as long as it is something special. So I'm rooting for Nadal to get his 10th FO, or for Zverev/Thiem/Nishikori to get their first slam. Something like that. But objectively, I would say Nadal is the heavy favorite. At least based on current form. I think he is the guy to beat over 5 sets in this venue right now. Nah. He's not going to be tired. He's eating his spinach as we speak. He'll do everything possible to peak for RG and he won't let this huge opportunity go by with his main rivals absent or out of form and the younger players not experienced enough to take three sets off him on Chatrier. Remember, Nadal almost won the AO, his least successful slam which was on a faster surface! Come on. IMO this title is as close to a lock as it gets for Nadal. If he brings his AO/IW form, he will win. All anyone has to do is tell Wawrinka that he is going to play a five set match. In that moment, he changes into a different person. Wawrinka doesn't get remotely interested in anything unless Best-Of-Five is involved. We will see. The only player who had level close to Roger on hard courts was him. Nadal not even close. But I thought we were talking about Wawrinka on clay and winning the FO? What does that have to do with hc? Plus, I disagree with you that Wawrinka has had a better level than Nadal on hc in 2017. How many finals did Wawrinka make on hc in 2017? Nadal made the final of the AO and Miami whereas Wawrinka made the final of IW. Wawrinka doesn't give fck about non Slam events - we all know that. He was never consistent, but that didn't stop him winning 3 Slam events. The only thing here matters is his peak level this year - that I believe much higher than anything Nadal has produced so far. Both players pushed Federer in decider at AO. But let's not forget, Federer is nightmare matchup for Wawrinka on hard court. He neither has matchup advantage nor mental edge that Nadal had coming to final. If he had both combined with his level, Federer would have lost in semis. But there is no clear 2nd favorite. djoko, thiem, stan are all debatable for that position. Zverev, Murray, Nishi are the other realistic contenders. Nadal will complete the Decima collection. There is noone who can stand up to him best of five. The draw will be very interesting though, Zverev Djokovic and Thiem. The rest of the field are fillers. I find tennis to be incredibly capricious. Funny people are still mentioning this mug after what Djokovic did to him. The guy deserves no respect. Djoko has been playing better and better and will also have Agassi. Nadal has been playing worse and worse and his body is worn out. Still think he'll reach QF though because of his seed. He has? He played one or two good matches in Rome and how many good matches has he played for the past year? It's a far cry from the Djokovic who used to win every match and almost every tournament in 2015. I'm sorry, I know that in tennis anything can happen but I can't see how Djokovic is going to win this FO. He's simply not in that head space yet and Agassi coming to the FO to talk to Djokovic for a few days isn't going to be enough IMO. Djokovic needs more time. Not only do I think that Nadal would beat Djokovic if they meet at the FO but I think there are several players who can knock Djokovic off in his current form. Even if Nadal loses early, I still doubt Djokovic would win the title. Nadal is resting as we speak and he'll have plenty of time to peak for the FO. He is the player with the most momentum on clay this season from winning Barcelona, MC and Madrid. I'm not kidding when I say I'll be shocked if Nadal loses this FO. Nadal is not a good match-up for Wawrinka on clay. The only time Wawrinka ever defeated Nadal on clay was in Rome 2015 when Nadal was in the worst clay form of his life. In fact, outside of that Rome defeat, Wawrinka has never taken a set off Nadal on clay. How has Wawrinka's peak level on clay been better than anything Nadal has produced on clay so far? What clay titles has Wawrinka won? Has Wawrinka made it past the second round in any clay tournament this season? Did I miss something? Maybe Wawrinka can beat his more recent pigeon Djokovic at the FO, but IMO he won't beat a healthy Nadal if they meet. Its almost embarrassing how I fell for the Novak hype after the Thiem match. After looking more into it Thiem was at 25%. That match gave us a false hope about Novaks level. He hasnt really won any good matches for a long time. Delpo had a good FH vs Kei, but that was it, and probably gave us a false hope about Delpos level (I really wish Delpo could come back for real). Has it ever happened before that playing low level by own standards-- add a superstar coach-- play amazing again after 1 week and win the slam? Do these miracles happen? Its almost embarrassing how I fell for the Novak hype after the Thiem match. After looking more into it Thiem was at 25%. That match gave us a false hope about Novaks level. He hasnt really won any good matches for a long time. Delpo had a good FH vs Kei, but was it and probably gave us a false hope about Delpos level (I really wish Delpo could come back for real). Has it ever happened before that playing low level by own standards-- add a superstar coach-- play amazing again after 1 week and win the slam? Do these miracles happen? The problem with delpo is that he is slicing every single ball to his far backhand.. does anyone know what's up with that ? It's a travesty that the Rome champion is not included in the poll but sundry clay underachievers like Raonic are. Muzziah! The Second Coming is now. I don't know if Djokovic is going to win it. Most likely he won't. But one thing won't happen La Decima. I got all the way to Paris in September and took a day to try and get to RG. To our dismay it was closed completely for renovations! Amazing city regardless, can't wait to go back. What clay titles has Wawrinka won? 2015 French open. It's one of the bigger clay titles of the year imo. His wrist injury put a stop to his 2hbh. So he only dares to slice now, or at most hit easy BHs. ************* can pluck their butts with the joy of relief today: Rosol - is out!